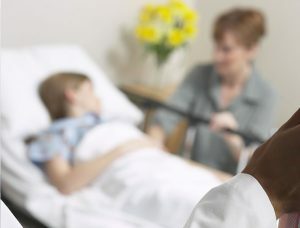 The Georgia Chapter of the American Academy of Pediatrics is accredited by the Medical Association of Georgia to provide continuing medical education for physicians. The Georgia Chapter of the AAP is devoted to the promotion of the science and art of pediatric medicine and the care and well being of children and adolescents, protecting and improving the public health and the betterment of the medical profession. The mission statement for Continuing Medical Education (CME) is reflective of the Chapter’s commitment to these goals and it’s the Board of Director’s and CME Committee’s view that continuing medical education is a vital element for improving the quality of patient care. Is to improve the quality of healthcare and advance the practice of medicine by providing scientifically accurate, up-to-date and relevant CME. To obtain optimal physical, mental, and social well being for all infants, children, adolescents and young adults. Are consistent with the status of the Medical Association of Georgia Essentials and ACCME Essentials. Improve the quality of care delivered to children and families. Improve the knowledge and clinical skills of healthcare professionals. Promote skills in medical leadership and professional ethics. Provide high quality, relevant, accessible and cost-effective educational experiences. Integrate quality improvement activities within CME to demonstrate improved process and health outcomes through physician practice assessment and change strategies. Meet the participants’ identified education needs and to support their life-long learning towards a goal of improving care for children and families. 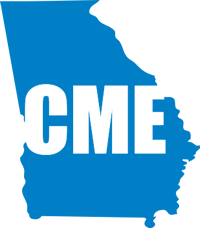 The Chapter’s CME Committee is chaired by A. Gerald Reisman, MD of Atlanta. The committee includes pediatricians from across the state in general pediatric practice, subspecialty practice, and academics. If you are interested in participating in the committee, contact the Chapter’s CME Coordinator at 404-881-5067. AAP sponsored CME events throughout the country.